The Exotic Woods Custom Collection (EW) series is an example of the research and development investment made by Alhambra Guitars. 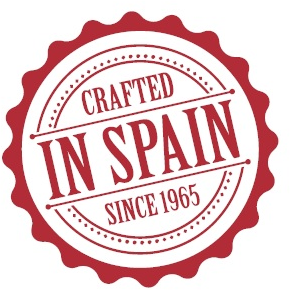 Flamenco guitars 100% customizable where you can choose among different woods for the top, sides and back, the color of the pegs of the heads machine or the type of finish, between open pore and gloss. The white Ebony or Olive wood, which do not require CITES certificate, together with Indian rosewood or Cocobolo are the selectable woods for the back and sides. 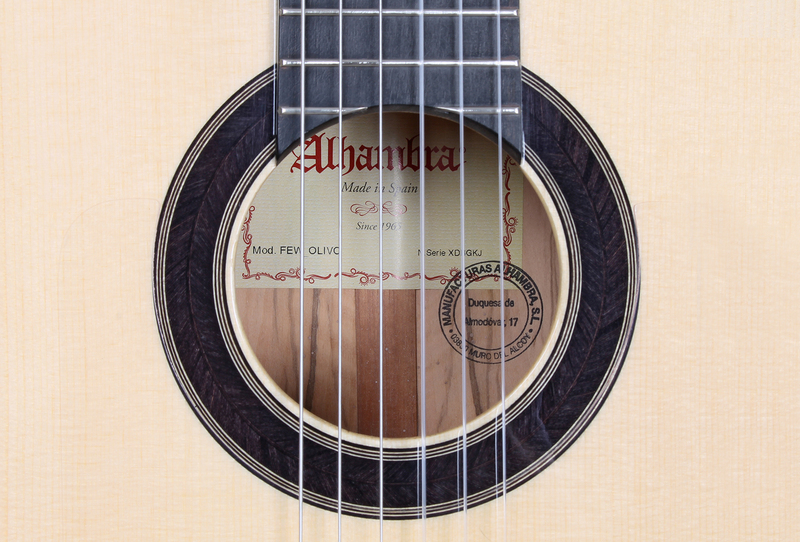 It is not common to find flamenco guitars made with these precious woods. Due to the contrast of the wood grain, some of these varieties make exceptional guitars, unique and unrepeatable. Without a doubt, these designs give personality to the guitar and the guitarist. 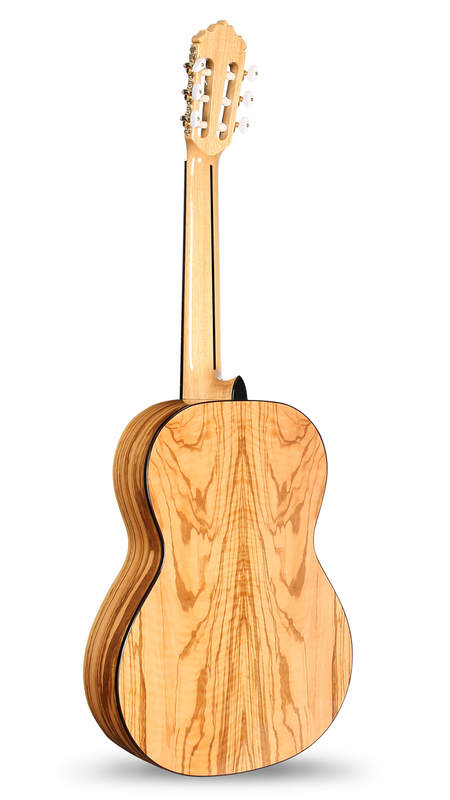 For the top you can choose between cedar and spruce, depending on the taste of the guitarist. For the elaboration of the fingerboard and of the binding in top and back, ebony has been used, a wood with high hardness. As for the finish in the Exotic Woods Custom Collection (EW), you can choose between Open Pore finish, which offers a matte color, or the traditional gloss finish. 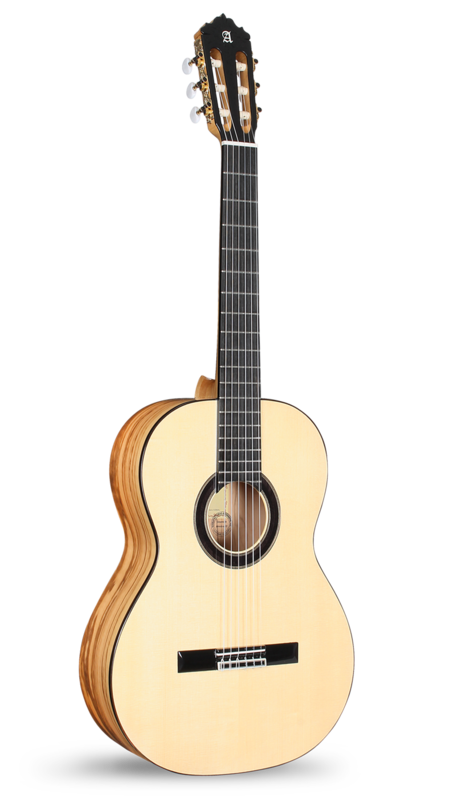 The Flamenco Exotic Woods Collection model offers a flamenco, percussive, pure and traditional sound. 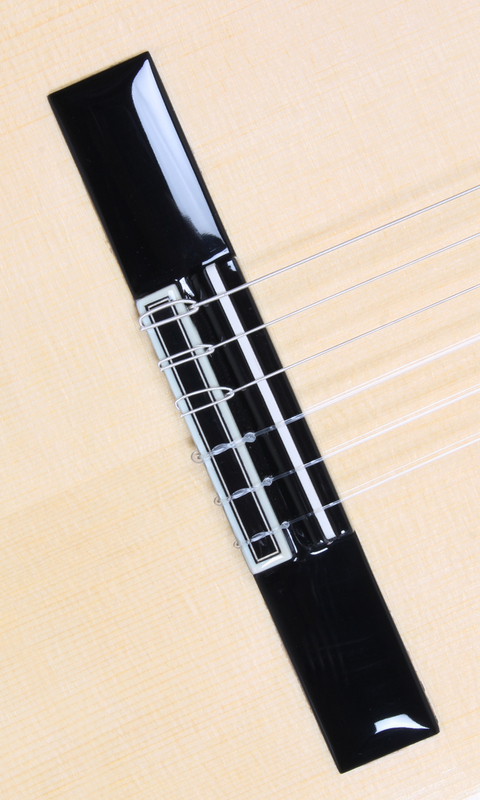 Within these characteristics, the selection of woods, both sides and back, as in top, are essential to define the final sound of this instrument. But always maintaining its personality for the exquisite design in its construction. 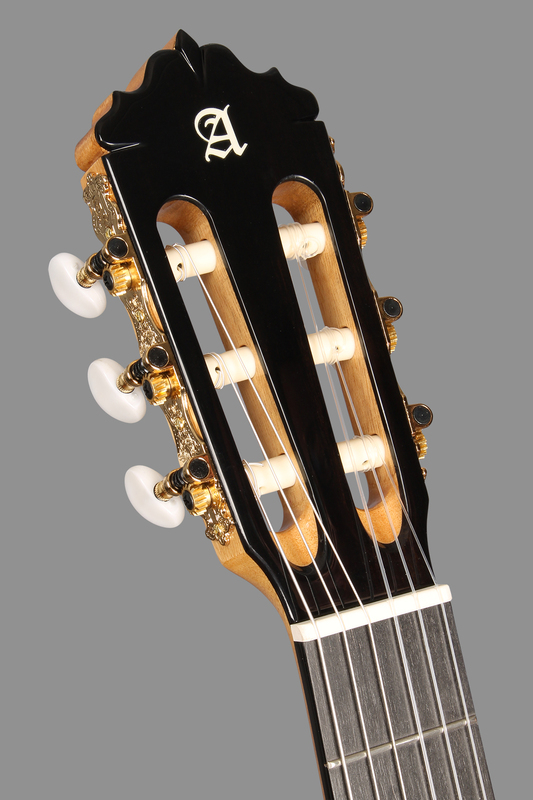 In addition, the Flamenco Exotic Woods model incorporates two saddles of different heights to set up the action of the strings according to the demands of the guitarist. A flamenco guitar with an unbeatable value for money, together with a modern aesthetic, captivating, with a totally flamenco sound and touch.